There are SO many books in this series! I think I have the first somewhere. I think my granddaughter would like this. Looks like a nice graphic novel. I love the cover! 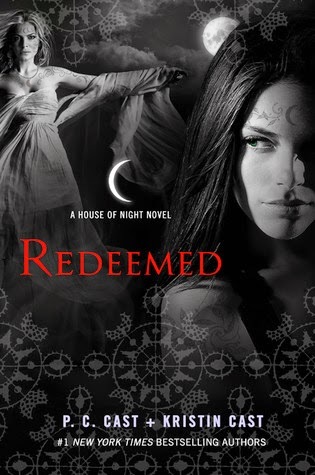 I've read the whole Marked series and love it! P.C. and Krsitin Cast are brilliant authors! When I read the first book I was in love. Then, as the series went on, I lost interest. But I'm hoping to win the giveaway so that I can fall back in love with the series and finish it :) Thanks for the giveaway! Fingers crossed! I love this book series. I am two books behind at the moment and am excited to finish this series and sad at the same time. I can't wait to read the final book in the series. Looks like it will be good.